No Game No Life is brought to life by MadHouse Studios from Yuu Kamiya's light novel series. 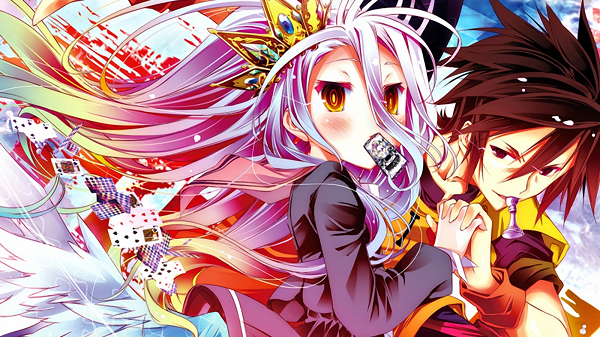 No Game No Life is an adventure, comedy and fantasy series which was later serialized in the Monthly Comic Alive and illustrated by Mashiro Hiragi. It has been an ongoing series since January 2013 with only one volume published thus far. No Game No Life was inspired from the big hit series Itsuka Tenma no Kuro Usagi a.k.a. A Dark Rabbit Has Seven Lives, a light novel series by Takaya Kagami. Yuu Kamiya was never really interested in making a series where it involved battles because battle scenes are hard to draw so instead, he came up with an idea of a series where conflicts are resolved with games rather than battles. 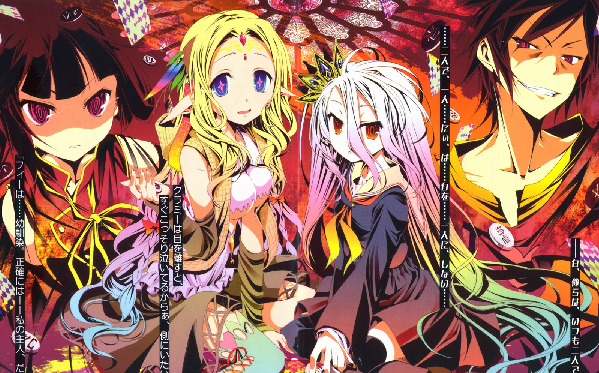 No Game No Life was later adapted for an anime television series together with Director Atsuko Ishizuka and Writer Jukki Hanada. No Game No Life premiered on April 2014 and ended on June of the same year with 12 episodes. No Game No Life revolves around Sora and Shiro, two genius hikikomori (shut-in) siblings who became famous in the vast online gaming world as “Blank”, the undefeatable duo. Their fame and reputation has gone far and wide when out of the blue, they were challenged to an online chess match by an anonymous person. Intrigued by the person who would dare challenge Blank, the siblings accepted the game. After a grueling chess match, they were suddenly transported to the magical world of Disboard where they meet Tet, the God of Games. Sora and Shiro find themselves in a mysterious world where all forms of conflict, whether big or small, are settled in a high-stakes game. They later realize that in order to beat Tet, Sora and Shiro must unite all sixteen races of Disboard and become the new god of this otherworldly realm. No Game No Life is definitely a must watch for any gamer out there, whether you are into online gaming or simply gaming itself. No Game No Life is also recommended to people looking for high-paced intellectual games, something witty and smart and definitely for anyone looking into light-hearted fun. No Game No Life also features lots of comedic moments and light fan service. If you’re looking for something similar to No Game No Life, then Mondaiji-tachi ga Isekai kara Kuru Sou Desu yo would be the perfect anime for you. Both anime share the same premise and general theme overall, with minor variations in the plot and the characters. 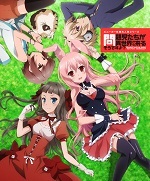 Although both anime share in the idea of holding “Games” to settle conflict, Mondaiji-tachi ga Isekai kara Kuru Sou Desu yo focuses more on supernatural and overpowered special abilities of the character rather than No Game No Life’s unparalleled intelligence and witty cleverness. 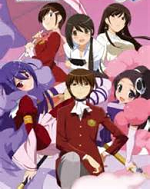 Keima Katsuragi, the Kami nomi zo Shiru Sekai's protagonist, shares similar features with Sora of No Game No Life. Both protagonists are genius gamers who otherwise shun social interactions and spend most of their time playing games. In both cases, both protagonists find themselves in peculiar supernatural situations where they are forced to use their wits to achieve set objectives, whether it’s to win a girl’s heart or winning an entire country. 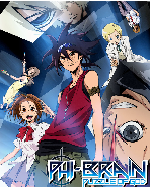 Phi Brain: Kami no Puzzle also share similar premise with No Game No Life’s main protagonist. Both shows feature extremely intelligent characters whose entire lives are enveloped in games, or in this case puzzles. Although the pacing is quite different, they do share similar traits whether it’s in the concept or the characters itself. 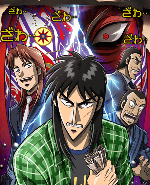 Just like No Game No Life’s Sora and Shiro, Kaiji also features a prominently intelligent protagonist who risks everything he has on games. Using only his wits at his disposal, he will go against opponents who will cheat and do just about anything to win a game. Will he overcome the stacked odds against him or will he fail? 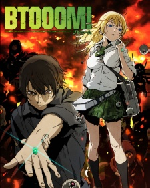 Although Btooom! 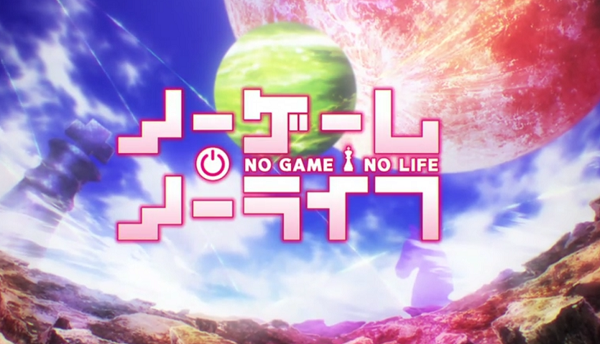 takes a more serious turn when it comes to gaming, the concept and the idea is the same with No Game No Life. For both shows, they revolve around games. Where in No Game No Life, the characters are forced to outwit the different races to win them to his side, in Btooom!, the characters must use their wits in a deadly game of survival. Both protagonists are exceptionally skilled online gamers and both are exceptionally intelligent, always trying to come up with ingenious ways of outsmarting their opponents. Sora and Shiro are two genius online gamer NEETs and together form the unbeatable gaming identity "Blank." After a grueling online chess match, they find themselves summoned to the mysterious world of Disboard where all conflicts are settled in a high-stakes game. Meet the diverse cast! Just about everyone is playing Pokemon Go these days, the massive mobile gaming hit which is simply impossible to ignore. Let's take a more detailed look at this phenomenon, and see how everyone is responding to it and why it's so incredibly successful. This time last year, Madhouse brought us the continuation to Death Billiards - Death Parade! In it, we're given a deeper look into how the afterlife is run and a more thorough look into the processes which go into delivering judgements. But are humans really that easy to sort into good and bad? These past few years have seen a new, rising trend in anime - a whole bunch of new anime like Sword Art Online - series set in the virtual reality of an online game.